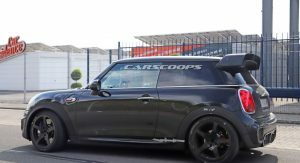 Mini has given its fans a taste of how far it can take the JCW formula at the 2017 Frankfurt Motor Show when it unveiled the bonkers John Cooper Works GP Concept. 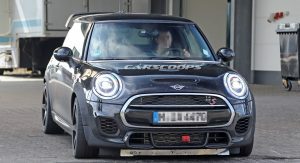 As it turns out, the Mini John Cooper Works GP study is on its way to production. 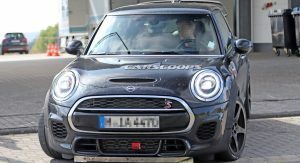 The first prototypes have finally been spotted during testing, and that massive rear wing might be a sign Mini means business with the production version. 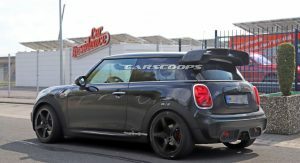 While we’re clearly not dealing with the finished car but rather a mule, the gigantic rear wing is an indication that the production car will stick quite close to the concept. 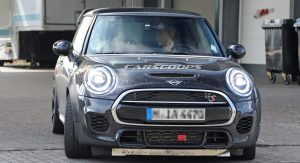 The spy shots also allow us to spot bigger brakes and beefier exhaust pipes, while the front end is hard to differentiate from a Cooper S. However, expect the finished car to get a more aggressive face with an extended front splitter and possibly the wider fenders from the concept. 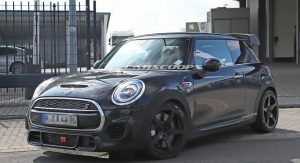 As with its 2006 and 2012 predecessors, the upcoming Mini Cooper Works GP will be built in a limited production run, possibly in an identical number of 2,000 cars. 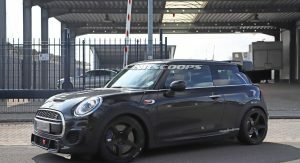 It will be powered by the same 2.0-liter turbocharged gasoline sourced from the regular JCW model but tweaked to deliver somewhere around 280-300 horsepower. 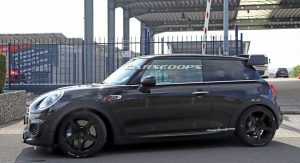 That will make it the most powerful Mini production car ever, as well as the fastest, given that the added power will be combined with a slight weight reduction. Expect the Mini John Cooper Works GP to arrive somewhere close to 2020. 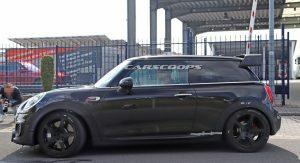 I mean without camouflage, it does looks like someone just tuning their Mini. 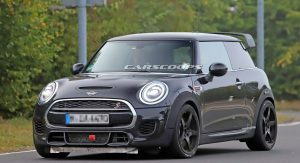 Once a very exciting reborn brand, Mini seems to be largely unloved by BMW these days. 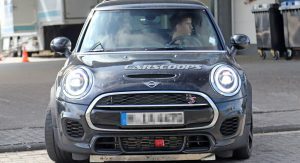 Overpriced and only somewhat appealing, they’ve made one misstep after another in their efforts to broaden the Mini brand. 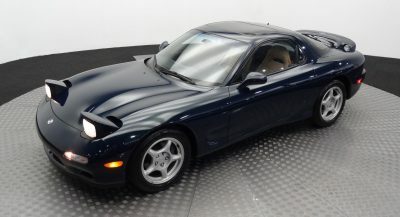 What do you mean unloved? 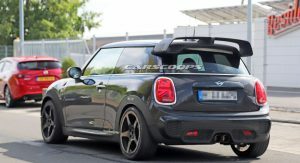 I mean Mini has turn into lifestyle brand really, people buy this with their hearts rather than their heads. 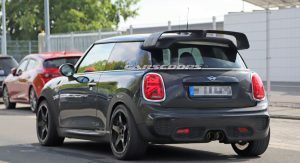 I do admit that it seems BMW has taken conservative stance after the failed line expansion on last gen Mini. 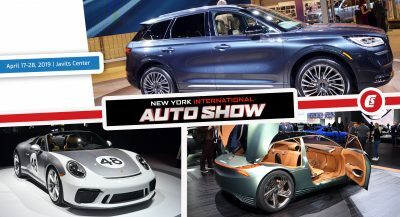 But for now they are stable and selling well. 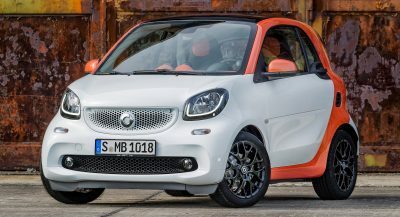 Should be a proper little beast. 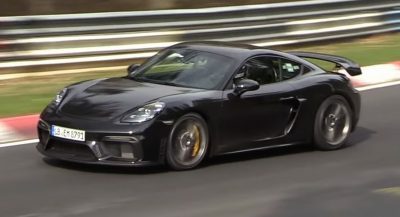 I want a functioning diffuser like the previous one though!